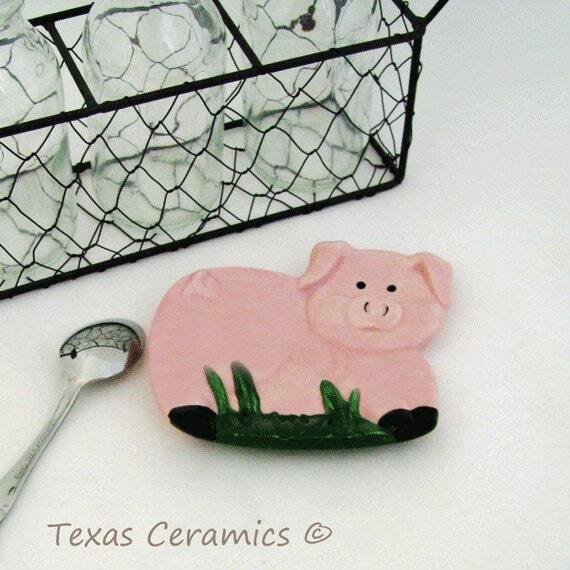 This little ceramic pink pig spoon rest is perfect for complimenting any kitchen with country style or farm decor. 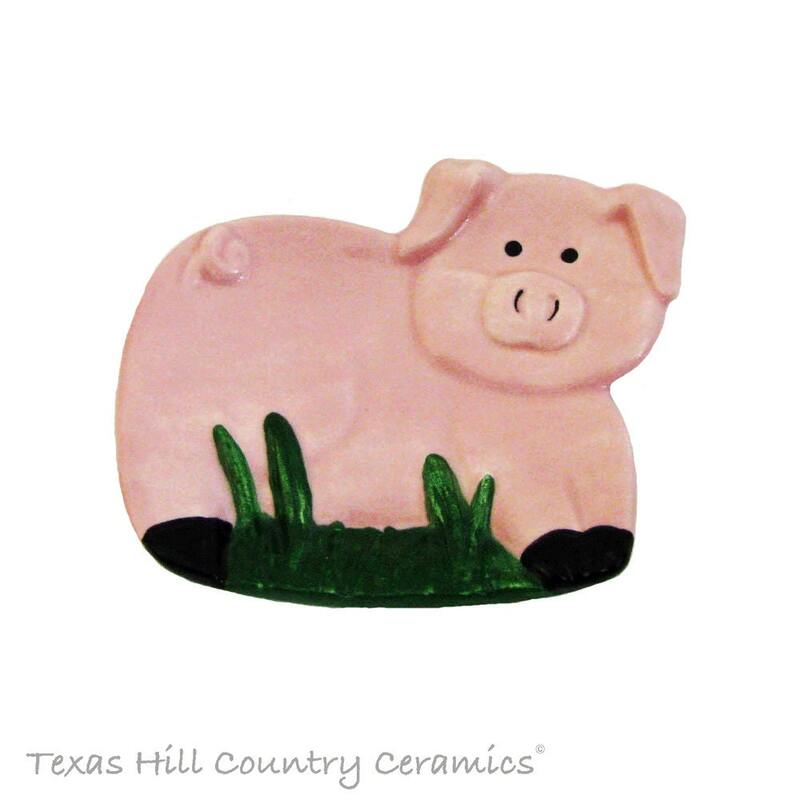 This little pig is ample in size to keep cooking utensils from making a mess on your countertop or stove cook surface yet small enough not to crowd you when you are busy cooking or baking. This pink pig can also double as a tea bag holder or tea accessory. 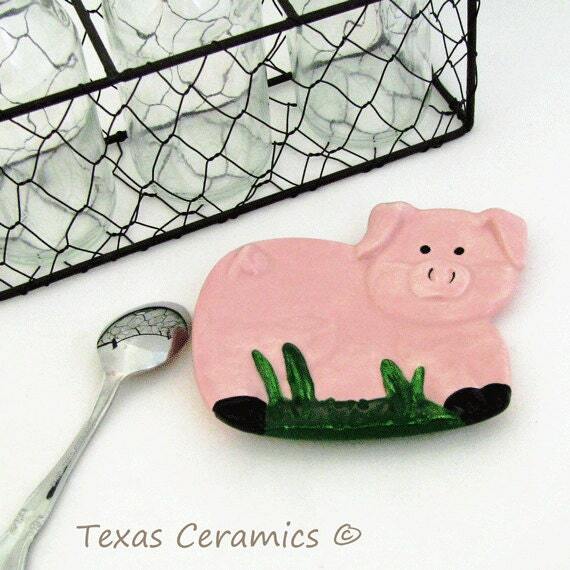 The pig spoon rest is made of slip cast ceramics and kiln fired. All materials used to make this pig spoon rest are from the USA. All detail is hand painted and brush glaze for durability. All glaze used is food safe and lead free. It is dishwasher safe too.